Valentino K. (left) with Deborah the reading phenom (right). I believe that one of the most notable and intangible impacts of going abroad is how it affects an individual’s understanding of his or her own society. Going abroad has helped me develop character and obtain a new way of looking at the world. My trip to Ghana impacted my life forever and created an all new Valentino who is devoted to nothing but excellence. Before this expedition, I was an active individual in my community. I dedicated my time and effort wherever I could, but as summer approached, indolence encroached upon my life and had a major effect. It almost ruined my entire summer. Then, I was one of the very few selected to voyage to Africa. 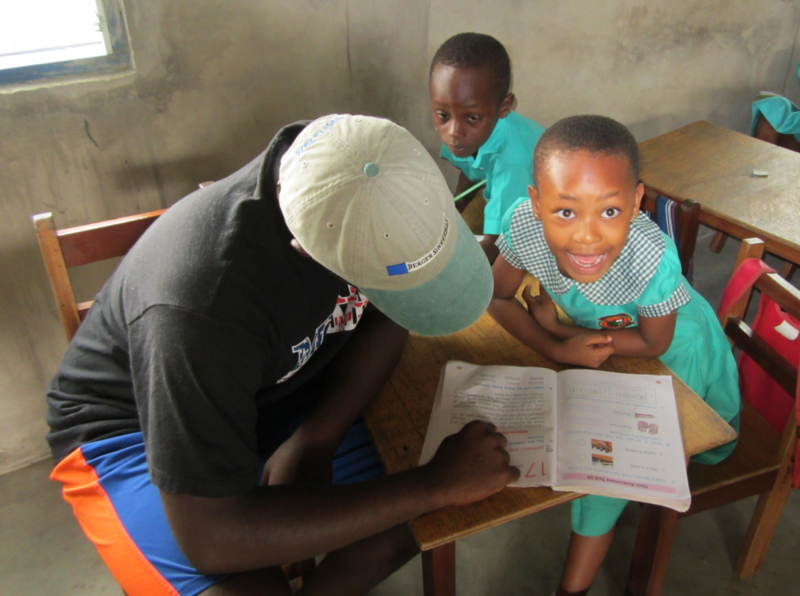 While in Ghana, I had several opportunities to provide assistance to individuals in need. The week we went to the Human Factor Leadership Academy the students were preparing for finals. We went into every classroom to help the students prepare for their exams. I was shocked by what the students were learning at such a young age. They were learning computer science in elementary and learning words that I didn’t even learn until I was in high school. All of the children were great readers, but there was one girl who stood out to me in particular and her name was Deborah! She is an absolute reading Phenom. She is only in second grade and reads like she is in middle or high school. This was definitely inspirational. Once we finished reading, she thanked me and said “You are my hero” and then hugged me. I was speechless for a few seconds, and then replied, “You are Welcome!” This meant so much to me. I had never had someone thank me so much for doing something so small. One thing I must say is that going to Ghana provided me with the satisfaction of helping people less fortunate and put an end to that lethargic side of me. It essentially rekindled my love for volunteering. This experience was not only beneficial to the individuals I helped in Ghana, but also beneficial to me personally and professionally. Going abroad positively and unequivocally influenced the trajectory of my career. When helping others, you learn to appreciate things more, and you feel great because you enjoy being of service. Additionally, the people you’ve helped feel good because of the assistance they have received.